Get used to waking up, stepping outside, and seeing red. There are plenty of reasons to explore Mars, as it is quite similar to Earth in terms of structure. That’s why NASA planned to launch the Interior Exploration using Seismic Investigations, Geodesy and Heat Transport (InSight) mission this spring to observe the deep interior of Mars. Unfortunately, because of a vacuum leak in a science instrument supplied by France, the launch was postponed. 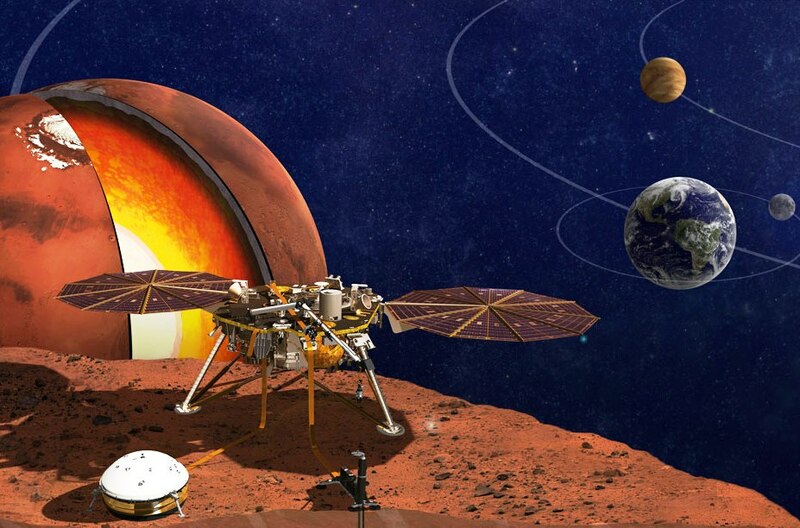 NASA’s new launch date for InSight, approved by NASA’s Science Mission Directorate is set for May 5, 2018, and will land on Mars on November 26, 2018. It’s not possible to launch for Mars everyday, and the window for a safe launch occurs only once every 26 months. That’s why the launch won’t be happening this year— or even next year. InSight is equipped with a Seismic Experiment for Interior Structure (SEIS) instrument that can detect and measure ground activity the size of half the radius of an hydrogen atom. This particular instrument was the one with the issue. According to NASA, the SEIS should have “a perfect vacuum seal around its three main sensors in order to withstand harsh conditions on the Red Planet.” NASA’s Jet Propulsion Laboratory (JPL) will be in charge of the mission “reboot” and making sure that the SEIS instrument will perform as planned without any leaks. Getting to Mars is an ambitious dream. The data from this trip will definitely contribute to bringing humans to the Red Planet.